The New York Jets have been linked to a lot of free agents that will hit the market on Tuesday but is it all true? Yes, the Jets do have money to spend but will the cash be spent on the top names in this year’s free agency class? According to OverTheCap.com the Jets have over $23 million in cap room to play with. 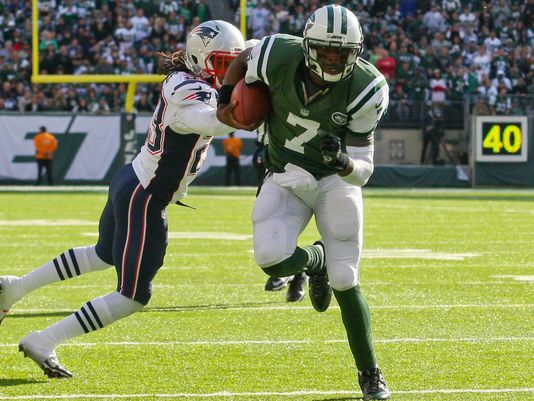 How will the Jets fare in free agency 2014? If you are in for some history, lets go back. The Jets have failed to make the playoffs since the 2010 season when they lost to the Pittsburgh Steelers in the AFC Championship. Since, head coach Rex Ryan has been walking on egg shells to save his job. Ryan was able to come back as the team’s head coach after finishing 2013 on a strong note but still held just an 8-8 record. Quarterback Geno Smith struggled for a big fraction of the season with turning the ball over and unable to score points offensively. He and the Jets will be expecting competition by July for the starting job. Defensively, the Jets are building a stacked house, led by Muhammad Wilkerson. Wilkerson has played in every game since being drafted out of Temple and recorded his best season as a pro in 2013 — 10.5 sacks and two forced fumbles. The Jets have already began making moves. The team signed tight end Jeff Cumberland to an extension. Cumberland led the team in touchdown receptions along with recording 26 catches for 398 yards. Many believe offensive tackle Austin Howard could be next in line for a new contract. Change must come to the Jets but in what way? Of course everyone seems intent to pile on Geno Smith without saying that he had no receivers to speak about. His TE seldom was able to practice. He had a rookie FB and OG and the OL did not play well for most of the year. Still the raw , rookie QB threw for over 3000 yards and won 8 games. In addition he won several by coming back. He played well when he had Kerly to throw to. He won the final game against a team contending for the playoffs in their home stadium. But lets only mention that Geno threw interceptions!